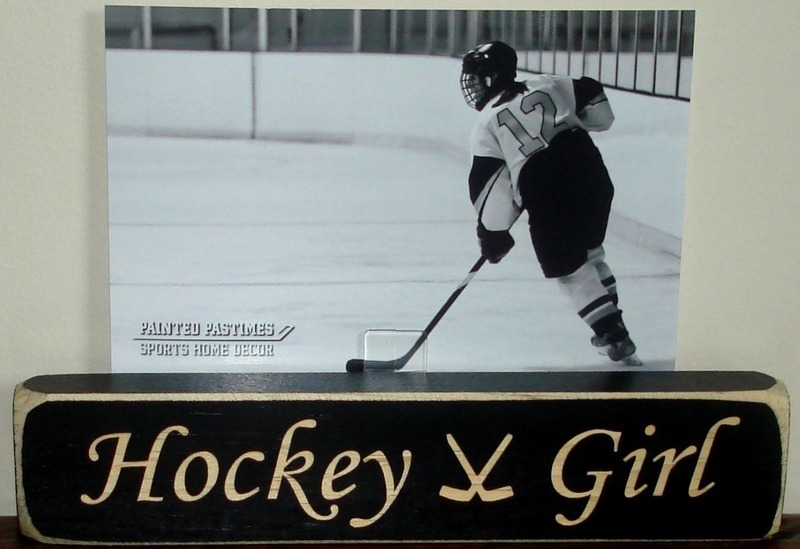 Hockey sign and photo holder. 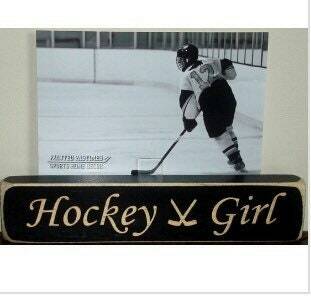 Perfect for the girl who loves hockey! Just replace our photo with yours. 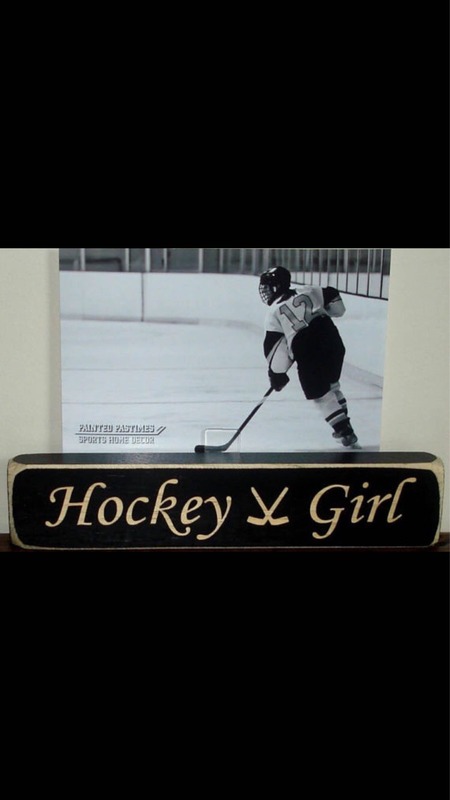 Great way to display a special hockey memory while adding a unique conversation piece to any room. Laser cut wood sign painted black and sanded edges to give a cool distressed look. The product is well made, looks great. 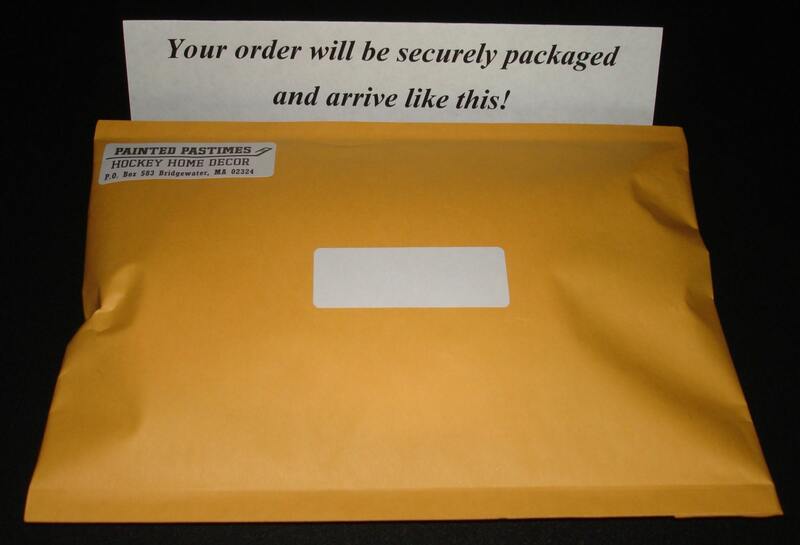 The shipping was on time, and the product was well packaged to avoid any damage. I look forward to ordering from SportsHomeDecor in the future! Thank you.